From the 18th until the 29th of June 2018, a Summer School entitled ‘The Immigrant Child: Challenges and opportunities in international migration for children’ was organized by Dr. Mark Klaassen and Prof. Peter Rodrigues of the Institute of Immigration Law at Leiden University. After their presentation, I gave my lecture. I really enjoyed it, because students felt comfortable to ask all types of questions. 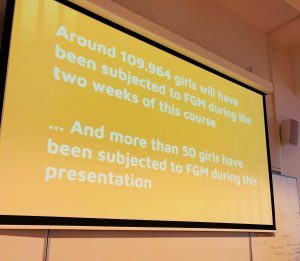 They were breaking in when I was presenting – which I absolutely like – to ask questions about what is happening in communities when girls undergo FGM/C, what it means that there is ‘social pressure’ to undergo FGM/C and why it is so difficult to stop this practice, etc. We also spoke elaborately on asylum claims based on FGM/C and the “real risk” that girls and women face when they will be send back to their countries of origin. I explained that asylum claims could be in the first place based on the 1951 Convention Relating to the Status of Refugees. We discussed the well-founded fear for persecution, the convention grounds (membership of a particular social group, political opinion and religion) and the Internal flight or relocation alternative. In the second place, we also discussed the European Convention of Human Rights (ECHR) and issues in relation to asylum claims based on Article 3 (“non-refoulement”), since many claims in Europe are based on the ECHR. I also shared with the students my experiences in asylum cases since I often serve as an expert witness. Afterwards, we even had discussions about reconstructive surgery and male circumcision as a possible ground for asylum. 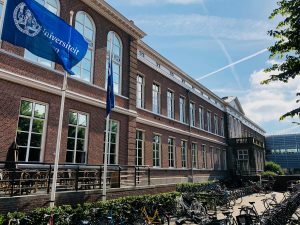 After all, it was a super nice experience and I hereby would like to thank the organizers of the Summer School as well as the students for an amazing day at Leiden University!